About Junko F. Message Junko F.
Great tour! Junko was well versed in the history and how it shapes the modern condition of the city. Very pleasant and patient, she also adapted to our interests. We did this tour the moment we got to town which proved very helpful. We went back to places she recommended and felt like we knew the layout of the town just from our walk with her. Highly recommend. Fun tour. Junko is very kind and helpful. She even made lunch reservations for us and arranged for a driver. There is a lot to see in Salzburg so it is a very busy tour. I wish we had more time to spend there. We would recommend Junko to those who don't have much time but would like to see as much of Salzburg as possible. 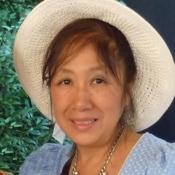 Junko was excellent, very knowledgable and helpful. Nothing was too much trouble and she spent much longer with us than we expected. Highly recommend. TOUR GUIDE RESPONSE: Dear Frank, thank you and all of you for your patience to walk longer , I also had a wonderful time with you! TOUR GUIDE RESPONSE: Great thanks to you, Ian and your friends! That honours me highest because it was an impossible rainy day all throgh the tour! You all really have a warmest sun shine in your hearts! Our tour with Junko in Salzburg was great! Junko is very attentive, always making sure that we were having a good time. Salzburg was part of our trip through the Alps and visiting the city with my family (me, husband, 2 teenagers) was a challenge to keep us all interested & entertained. She did it! Junko talked about the importance of Salzburg, Salt River, its history, answering all our questions and even singing for us Do,Re,Mi at Mirabelle Palace. Junko loves Salzburg and it shows in her tours!! TOUR GUIDE RESPONSE: Thank you Roberto, it makes me so happy! We enjoyed the tour with Junko. She was prompt and on time and kept us on schedule. She pointed out landmarks from the movie and other historical ones. She took many pictures of our family for us. Junko was great for our family of 9(4 children under 9). She was prompt and knowledgeable with plenty of insight into the city to offer. One of the most important things to us was her kindness, understanding, and temperament with the kids. One special addition was her videoing and taking photos of our family's adventure which she will send at a later date. I would highly recommend Junko for your individual or family tour. Her willingness to make it a tour about us and our needs made for a wonderful day. Junko was very fun and friendly. We all had a lovely day and learned a lot about the sights in Salzburg! Junko was happy to help us and gave us some very good suggestions. It was great time in Salzburg with Junko! Wonderful tour with Junko. We were particularly interested in the history and architecture of Salzburg and Junko provided all that and more. Highly recommend. What an absolutely incredible day!!! Junko tailored our tour to our needs (pick up place, etc) and to what places we were most interested in seeing! She is very personable and knowledgable in both Austrian and German history. We specifically focused on Mozart and The Sound Of Music!:-). She is flexible and is always ready for an adventure! We would very highly recommend this sweet lady and wonderfully excellent tour guide!! Good and knowledgeable. Covered a lot of ground in a morning. Junko is a fabulous guide ! She arranged a tour for me and my 14 year old grandson. We had only a short time in Salzburg and she helped us make the most of it!. She arranged and purchased tickets for a Mozart dinner performance for us....and she didn't even know me!! Of course I reimbursed her with great appreciation!! She came to the train station to help us find our train and see us off. What a delight!! I highly recommend her as a guide in Salzburg!! It was so much fun being on a tour tour with Junko as our guides. 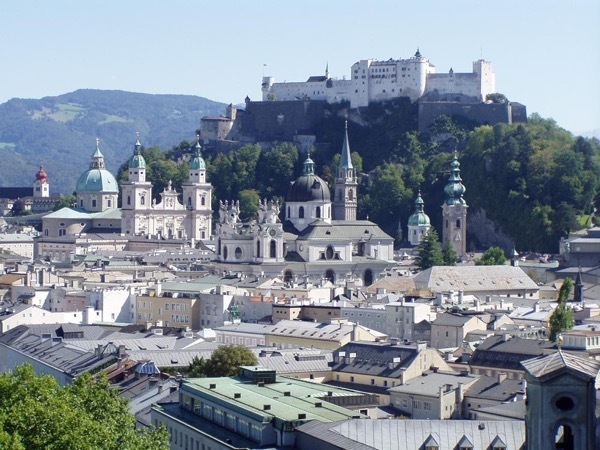 She is very knowledgeable about Salzburg and set up a special itinery for us to include city center, various other historical sites, Sound of Music sites, and Werfen castle which included a special lunch at a mountain top chalet. TOUR GUIDE RESPONSE: Hi Jim, It was also a great fun for me showing the places you have longed for so many years! I have pictures and video to send you that I think will remain as a treasure for your whole group... That will be your own "Sound of Music" film visiting Salzburg. Thank you for choosing me as your guide, please say hello to everybody and please contact me where I can send the DVD. Junko was a fantastic guide. She was a delight to have for nearly 4 hours in Salzburg. She was very considerate by asking us if we were tired and needed to rest at various parts of the tour. The information she gave about Mozart as well as the city itself was interesting and our family will remember her tour for years to come. She also took pictures of our group which was very sweet. Thank you Junko! Hi, We would like to thank you for our wonderful tour with Junko. She was so lovely & made us feel so welcome & comfortable. The tour was very informative & provided an excellent base for us to explore Salzburg on our own......what an amazing city. TOUR GUIDE RESPONSE: Thank you so much for your comment,Sonya! You said everything that I wished all of you to experience and feel in this beautiful city! Junko's tour was uniquely enjoyable. We (five adults between 20s and 50s, only two of us actual fans of the "Sound of Music") simply had an amazing time. Junko met us at the hotel after breakfast as arranged and from then on, the day was one of the most fun any of us have had. While the main theme was obviously the "sound of music" (and plenty of singing was done by all! ), Junko is also extremely knowledgeable on the more "serious" history of Salzburg, which she effortlessly weaves in. A fantastic tour! As per Mrs Kunda Vijayakar and Party from Nagpur, India Junko was very Good, Informative, helpful and would like to suggest her to their friends for their Tour to Salzburg. Great tour to visit Salzburg if you do not have much time. Very efficient. Junko tailor-made the tour depending on our preferences (history, architecture...). We had a great time and would definitely recommend it. Junko was very informative and patient, as we asked so many questions. She was great! Junko was a spectacular guide. We loved this tour and would do it again. It is really fun to watch the movie after you have been on this tour. Junko is a wonderful singer. I don't know what people are on about not being able to understand Junko's English, she has an Asian accent with her English, that is perfectly normal given she is Japanese. The tour was amazing. Junko was amazing. It was my birthday & she gave me a CD of hers, we listen to it to remind us of the warmth of her spirit & beauty of Salzburg. She also interacted with my 5yro & he loved the attention. Thank you Junko, we would take a tour with you any day. Hugs & Kisses Sherri, Linc & Josh. We had a very interesting few hours learning quite a bit of Salzburg's history. We've never taken a Sound of Music tour so cannot compare it to any other experience; we visited Leopoldskron, Mirabel gardens, Monchberg for coffee and the horse pond, all the while learning about Salburg and singing songs. Junko is lovely, with a beautiful voice. However, the only difficulty is that there is a language barrier when she guides English speakers. Thank you for a wonderful experience. Her English wasn't very good, we found it very difficult to understand her as she pronounced her r's as l's, the children found it particularly difficult. TOURSBYLOCALS RESPONSE: We find this comment about Junko's English surprising as we speak to her regularly. While she has an accent, we don't have any difficulty understanding her. We've asked her to post a movie of her speaking so that travelers can decide for themselves.